Bunny Branola is a rabbit feed supplement that supports lustrous fur, improved stress management, and digestive and immune health for all pet and livestock rabbits. It is also a rabbit conditioning supplement containing a combination of completely natural and healthful ingredients: grains, vegetables, seeds, and herbs. 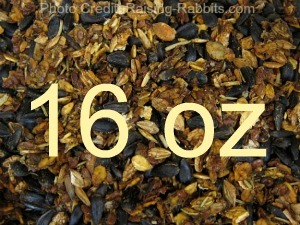 Used in small amounts as a top dressing, Branola promotes health and a sleek, glossy coat in any rabbit. Bunny Bran is OUT OF STOCK! As a high-calorie energy source, it helps keep your rabbits warmer in winter, reducing cold-weather-related stress. It also promotes good dental health and gastrointestinal function. Improved nutrition in a rabbit also helps to support the rabbit's healthy physiological stress response whenever they encounter a "stress situation:"
and/or Doc's Enhancer to your rabbits' diet! Use Bunny Branola 4 different ways! 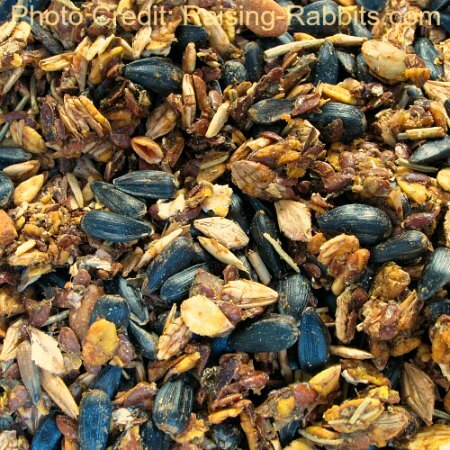 Use as a stress reliever: Feed 1 tablespoon on top of pelleted rabbit feed every other day during situations stressful to the rabbit (see above). Give slightly more if it is cold or the rabbit has recently been shorn – the oils and extra calories help to raise the rabbit’s internal temperature. Use as a daily health enhancer: Feed 1/2 - 2 teaspoons every day or every other day to help support daily health, including immune, digestive and dental health. 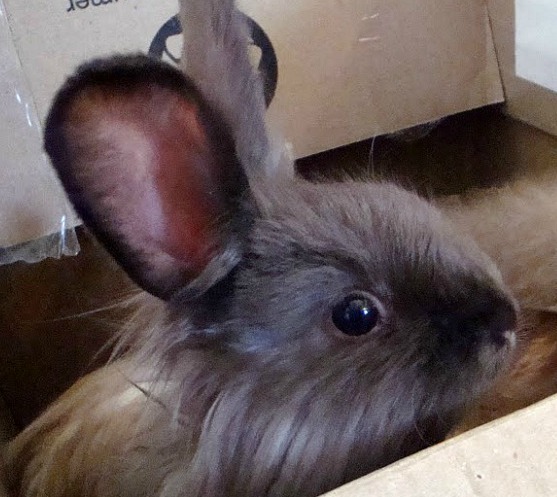 Branola was specifically designed for angora rabbits, however normal-furred rabbits will also benefit from supplementation. 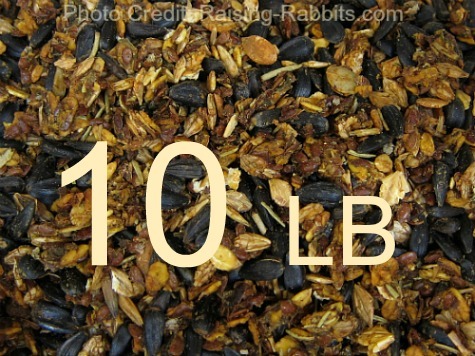 If you are newly adding Branola to your rabbit's diet, it would be wise to keep a close eye on the rabbit's weight at first. 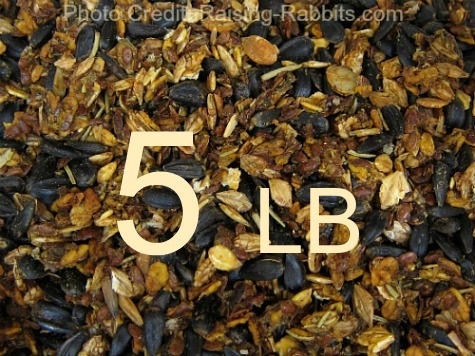 This will help ensure that you are giving enough to benefit the rabbit but not so much that it will become overweight. Rex rabbits in our own Aurora Rex Rabbit barn attack the Bunny Branola! Every one of them without fail cleans up the branola almost immediately. 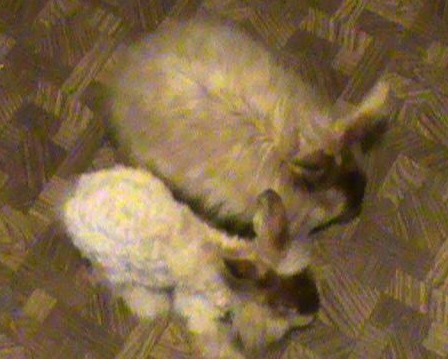 Kim Martin, developer and owner of Bunny Bran LLC, raises Satin Angora rabbits for wool production, and American rabbits, a heritage breed. 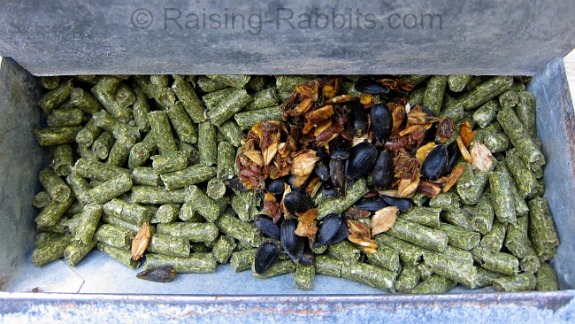 Initially, Kim was motivated by the desire to feed flax seed to her rabbits, but with the usual screened J-feeders that Kim and most breeders use, the flax seeds would end up on the ground or in the drop pan. 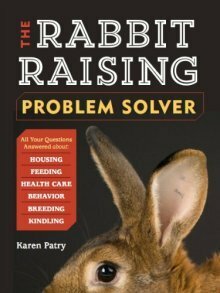 So she shifted to Plan B: Find a way to concoct a rabbit feed supplement that could be conveniently fed without being wasted. This of course became a long process. She tried cookies, flax crackers, even a gelatinous goo. 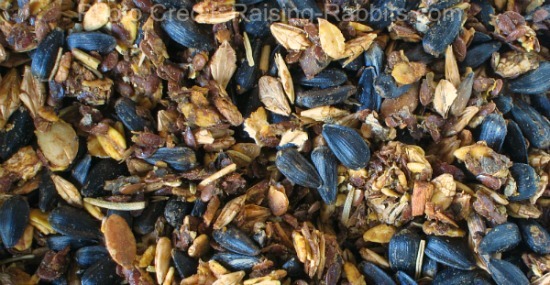 Eventually Kim hit upon the idea of making a rabbit type granola with all yummy (to rabbits) ingredients. Researching rabbit-safe ingredients can be time consuming and frustrating as the current available information mixes scientific findings with old wives' tales and anecdotal "facts." Hence, the need for the most important rabbit in her barn, "Ralph the test-bunny." If Ralph liked an ingredient or a recipe, chances were good that all rabbits everywhere would also love the new Bunny Branola supplement. 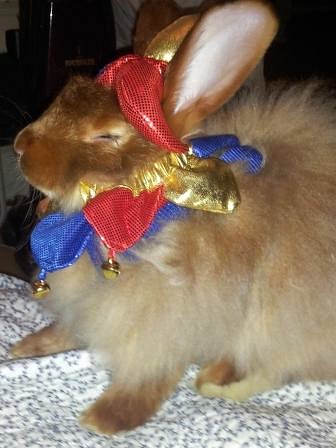 Ralph the test bunny willingly chewed his way through multiple ingredients and each of the various recipe experiments. His "opinions" and reactions were the stage I testing for all the research and development decisions. Besides testing Branola on her own rabbits, Kim gave out free samples to other rabbit breeders. Of course, the rabbits dove into their feeders head first whenever the Branola was sprinkled over the feed, and the breeders begged Kim to officially market it. Ava Firth, BS DVM MVS MANZCVS DACVECC MRCVS, has years of experience as a critical care veterinary surgeon in Nottingham UK. She holds lectureships at the University of Melbourne AU, University of Minnesota USA, and the University of Glasgow UK. Dr. Firth carefully reviewed and approved the Branola formulation, encouraging Ms. Martin to produce it widely for sale to the public. Bunny Bran's Branola has now been available since April, 2015. It has been so well received that Kim is expanding her manufacturing facilities to accommodate your needs! *A significant part of the information on this page was adapted directly from the Bunny Bran website at the direction of and with the permission of the website owner.